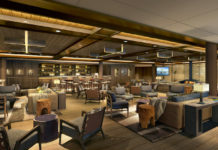 Famous for their food, their friendly service and some seriously swanky suites, Oceania Cruises has four medium-sized ships – Marina, Regatta, Insignia and Natuica – sailing to 300 destinations. Style: Lalique staircases and glittering chandeliers create a decidedly glamorous ambience, but for guests, the dress code is country club casual – tuxedos and gowns are never required. Luxe factor: Sumptuous staterooms, butler service in all suites, and the Canyon Ranch Spa, widely considered to be one of the best spas at sea. An added bonus is that the speciality restaurants are all included in the price – and the food is outstanding. 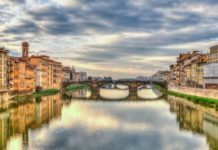 Sample package: A 12-day cruise from Istanbul to Rome departing on 16 August costs from £1,569pp (including $300 on board credit per stateroom), not including flights. 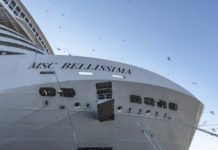 For more info on Oceania see click here or call 0845 505 1920, oceaniacruises.com. Renowned for its transatlantic cruises on flagship Queen Mary 2, Cunard’s three ships (QM2, Queen Elizabeth and Queen Victoria) also do long voyages that can be booked as legs, 10-day Med cruises and even two-night trips to Hamburg and Bruges. 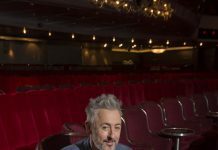 Style: Elegant, and very much a classic luxury cruise line offering white-gloved waiters and formal nights, but at the same time Cunard ships are not stuffy – everyone is made to feel at home. Five all-inclusive ships carrying 300 to 500 guests and expedition ship Silver Explorer specialise in unusual destinations. Style: Laid-back, but there’s a butler for every suite. Luxe factor: Completely all-inclusive, from the Champagne on tap to exceptional food. 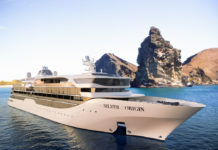 Sleek ships include the 64-passenger yacht Le Ponant, and Le Soléal, which launches this summer. Style: Chic, modern and oh so French. Luxe factor: Exquisite food, stunning interiors. With 95 crew to just 112 guests, SeaDream’s two all-inclusive ships have all the glamorous trappings of an exclusive private yacht. 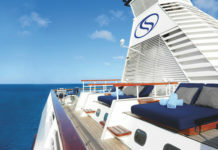 Style: Ultra-luxury small ship cruising, with incredible food, interesting itineraries and a laid-back atmosphere. Luxe factor: Caviar and Champagne on the beach, retractable watesports marina and Balinese Dream Beds where you can spend the night on deck under the stars. The 49-passenger Hebridean Princess is The Queen’s favourite cruise ship, and the company is proud of its By Royal Appointment status. Hebridean Cruise Lines also offers river cruises aboard Royal Crown. Luxe factor: The wonderful food. 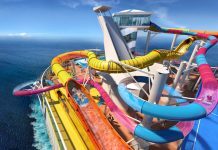 An all-inclusive cruise line, with beautiful vessels including sisters Mariner and Voyager, which both carry 700 passengers. Style: Relaxed indulgence – a mix of elegant evenings and casual days. Luxe factor: Signatures’ haute cuisine, which is also included. Uniworld deservedly won Best Luxury River Cruise Line at last year’s Cruise International Awards and have been acclaimed as the world’s best luxury river cruises. Their partnership with Titan means 18 ships cover Europe, Russia, Egypt, China and Vietnam. Luxe factor: Flagship Antoinette has high-tech touches in staterooms such as glass balcony panels that create private conservatories when closed or let in the fresh air when open, a cinema, a heated swimming pool, alfresco dining and delicious cuisine. All cruises have the advantage of Titan’s door-to-door service making this a wonderfully relaxing way to travel. With eight state-of-the-art new Longships being christened this month, Viking, winner of Best River Cruise Line at the Cruise International Awards 2012 continues to go from strength to strength. Their itineraries feature Europe’s major rivers, Russia, Ukraine (Yalta to Kiev), China and Vietnam, and it debuts on Portugal’s Douro in March. Cruises include excursions and wine with dinner. Luxe factor: The Explorer Suites feature spectacular views with private wraparound verandas; Veranda Suites include two full rooms. Seabourn won Best Luxury Cruise Line at last year’s Cruise International Awards for its intimate ships with just 104 or 224 suites, fully complimentary gourmet dining, and all-suite accommodation featuring a mini bar stocked with your preferences and complimentary welcome champagne. They sail to Central America, the Middle East, Europe, New Caledonia, the South Pacific, and other destinations worldwide. Luxe factor: Spacious suites, open bar thorough out the ship, personal butlers and gracious service.